Work is underway to develop new Integrated Care Systems in Bradford District and in Airedale, Wharfedale and Craven (AWC). The Bradford District Integrated Care System (ICS) will be delivered by Bradford Provider Alliance (BPA) and the AWC ICS will be delivered by the Airedale Providers Alliance Group (APAG). This major change to health and social care commissioning will eventually see the local CCGs (Bradford City, Bradford District and Airedale, Wharfedale & Craven) along with the relevant local authority partners commission one system of health care through a single outcomes based contract with the BPA and the APAG. This will focus on improving the whole population’s health and well-being and will be financially and clinically sustainable. Most, if not all health and social care contracts will eventually move to be delivered through this model. Therefore it is essential that the VCS are partners in the BPA and APAG. 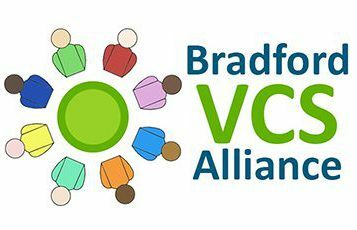 The CCGs have provided funding to set up Bradford VCS Alliance to be the legal body to represent the VCS on the BPA and APAG. A vibrant, inclusive, productive Voluntary and Community Sector improving lives through innovative and effective solutions. To secure funding and investment enabling VCS organisations to deliver high quality services in Bradford District and Craven, working collaboratively, that represents best value for stakeholders. 1. Securing funding and investment. Horizon-scanning for funding and investment opportunities. Identifying opportunities and presenting VCS solutions. Responding to requests from commissioners and funders to provide high quality solutions through the VCS. 2. Commissioning VCS organisations to deliver high quality services. Identifying appropriate Delivery Providers, and shaping the delivery model. Establishing and managing delivery agreements. Supporting, managing, monitoring and evaluating the performance of Delivery Providers. Embedding and managing strategic review processes to inform future commissioning. 3. Influencing the strategic environment to ensure effective cross-sector collaboration. Championing and positioning the VCS within the strategic environment. Identifying, promoting and ensuring consistent standards of good practice and quality across our Provider Community for the purposes of managing risk. Collaborating in the development of the systems and processes to ensure and effective and consistent commissioning environment.